Business travel is largely buoying the health of the domestic travel industry. According to a new report from the U.S. Travel Association, overall travel volume grew at a faster year-over-year pace in December of last year than in November. The report also found that all travel segments grew in December but an acceleration in domestic business and leisure travel more than offset a modest deceleration in international inbound travel. “With all 12 months’ data now in, the Travel Trends Index shows that travel to and within the U.S. grew faster in 2018 than in 2017. While international and domestic leisure growth was steady, the most impressive news is that business travel had its best year since 2010,” said David Huether, senior vice president, research for U.S. Travel. The Current Travel Index (CTI) indicated that travel to or within the U.S. grew 3.6 percent in December 2018 compared to 2018, and overall data shows the industry nearing its 10th consecutive year of expansion. 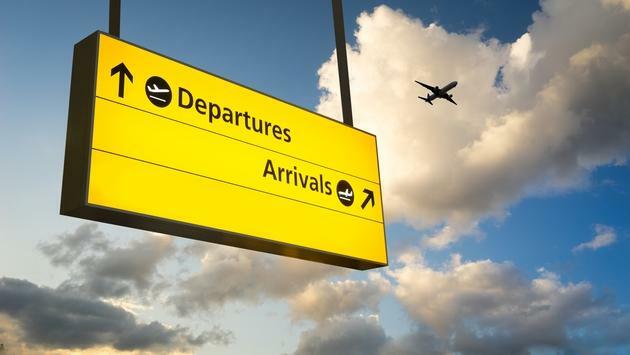 The Leisure Travel Index (LTI) shows travel growth moderating through June 2019 and will be supported mostly by growth in domestic travel demand. According to the LTI, U.S. travel volume is expected to grow at a rate of around 2.4 percent through June 2019. Domestic travel is expected to grow slightly faster at 2.6 percent and international travel growth is expected to decelerate to 2 percent over the same period. "A projected global economic cooling and persistent trade tensions will continue to threaten international inbound travel growth," said Huether. "The expected softening of the dollar and the de-escalation of the U.S.-China trade conflict should be positives for the international segment, but the market will not be able to fully capitalize on those advantages without some help." Adam Sacks, president of Oxford’s Tourism Economics, echoed this sentiment. While demand for travel to the U.S. may be slowing, travel agents within the U.S. see the market heating up. Research from Strategic Vision shows that travelers are looking to travel outside of the U.S. and that increased wealth and social media channels are inspiring them to book more vacations.